An H.P. 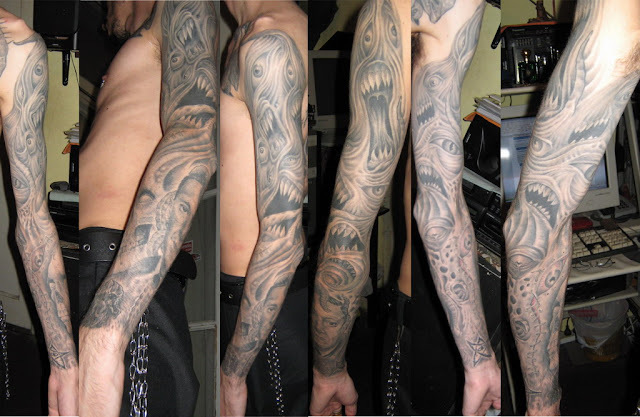 Lovecraft and Shoggoth fan who goes by the online handle Raznal spent (nearly) two years getting a massive Lovecraftian tattoo sleeve on his arm. Judging from his photos, it looks like this started with a tattoo of Lovecraft himself and then was later finished with his absolutely gigantic Shoggoth tattoo. Odd that he started with HPL, but put him on the back of his arm.